Dubai: More than 100,000 Syrians who have fled violence in their homeland since 2011 are living in the UAE — and are being treated equally as other expatriate groups. That number is five times greater than the number of Syrian refugees the UK intends to admit over the next five years —and brings the total number of Syrian expatriates to nearly 250,000. In addition, the UAE has provided $540 million (Dh1.9 billion) towards humanitarian relief for the refugees. In an official statement issued on Wednesday which was carried by the AP, the UAE Government said it has made it one of its foreign policy priorities to address the Syrian refugee crisis “in a sustainable and humane fashion together with its regional and international partners”. The UAE Government has also relaxed its rules when it comes to Syrians living in the country. With no means of renewing their passports, and difficulty in obtaining other documentation from Syria, residency visas are extended and other administrative regulations have been eased. More than nine million people live in the UAE, with foreigners outnumbering citizens more than four to one. In the case of Syrians now residing in here, those visa rules are relaxed. The UAE’s policy has been that it is preferable for the Syrian refugees to be close to their homeland so they can easily get back home when the crisis is over. Dr Abdullah Al Matouq, the UN Secretary-General’s Envoy for Humanitarian Affairs, has stressed that the Gulf Cooperation Council (GCC) countries were among the first nations to provide relief aid to Syrian refugees since the crisis in Syria began in 2011. Kuwait News Agency, KUNA, quoted Al Matouq as saying that Kuwait hosted three donor conferences for Syria which collected $7.7 billion for the refugees, where GCC states pledged the majority of that money. “As head of the International Islamic Charitable Organisation (ICCO), it was very important for us to help the Syrians,” said Al Matouq, adding that also as special envoy for the UN, he was duty-bound to showcase the GCC’s efforts on the matter. In January, the UAE pledged $100 million in support of Syrian refugees, and $44 million of that has already been dispersed. Part of that aid goes to fund one of three refugee camps in Jordan, which is sheltering more than 500,000 refugees. 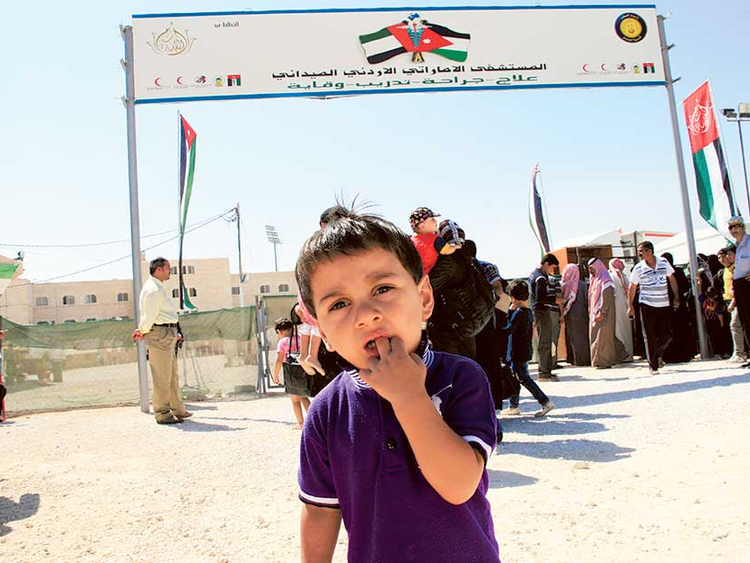 The UAE-funded camp, known as Marajib Al Fuhood, houses more than 4,000 refugees. The UAE along with Germany and the US set up the Syrian Recovery Trust Fund (SRTF), focused on improving local communities’ access to healthcare, water, energy and food in areas controlled by the Syrian Interim Governmet, set up by the internationally-recognised Syrian National Coalition. 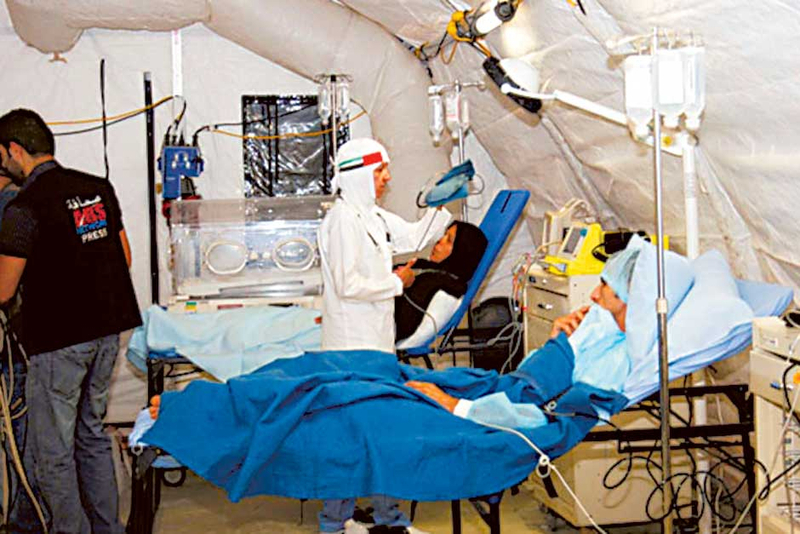 The UAE has contributed $10 million to the SRTF as have Japan and the US. Denmark, Finland and the UK have donated approximately $3 million each. “The SRTF restores essential services in areas under the control of the Syrian interim government,” the source said.